Spoon the peaches into each of the 6 paper cups. Place the yogurt in a medium mixing bowl. Slowly pour and stir the orange juice into the yogurt. Mix well. Pour some of the juice and yogurt mix into each cup to cover the peaches. Place a spoon in the center of each cup. Cut 6 squares of aluminum foil big enough to cover the tops of cups. Stab each spoon handle through each piece of foil. The foil will hold the spoon in the center of the cup. 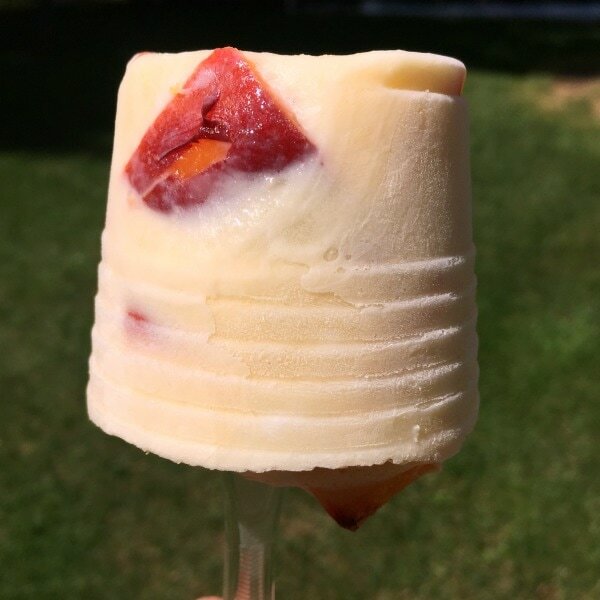 Place cups in the freezer for at least 4 hours. Just before serving, peel the paper cups away from the pops to eat.